In four months, China’s new crude futures contract built up an impressive 7 pct share of global turnover. Currency risk is a worry, and foreign traders remain on the sidelines. Even so, with Iran’s help, Beijing is on the way to building a credible benchmark. Employees work at a shale gas fracking site of Sinopec in Nanchuan, Chongqing, China March 18, 2018. Picture taken March 18, 2018. China’s first oil futures contract, launched in March, expired on Aug. 31. 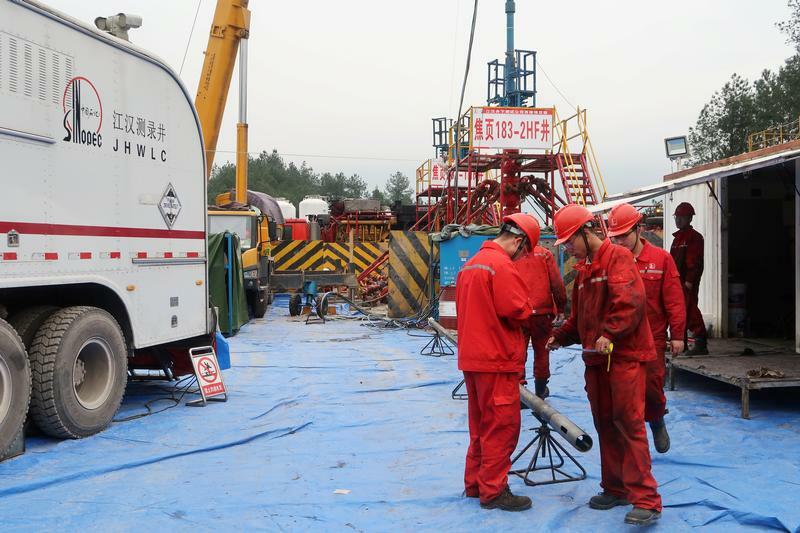 Five Chinese companies including state-run Chinaoil, Unipec, CNPC Fuel Oil and Zhenhua Oil, along with a private trader, delivered crude against the September contract, marking its first physical settlement event. China is the world’s biggest oil importer. It launched the yuan-denominated contract to compete with global dollar-denominated benchmarks and gain more pricing power. The contract, run by the Shanghai International Energy Exchange (INE), was first approved in 2014. Front-month volumes in the crude futures have risen to trade almost 2.8 million lots of 1,000 barrels in July. At that level, the Shanghai contract had a market share for July of 14 percent, compared with 29 percent for Brent and 57 percent for WTI. Overall, the Chinese contract accounted for 7 percent of global crude turnover in July, according to Reuters calculations.